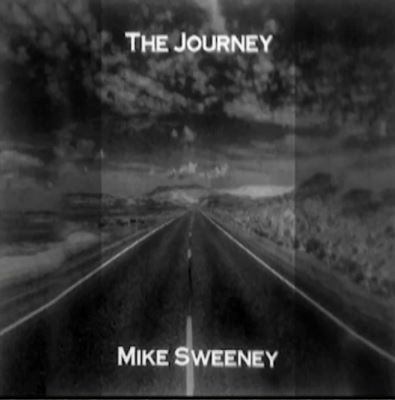 Mike Sweeney has just recorded a brand new CD of 16 songs with the steel guitar in the spotlight. This is Mike's latest in his string of very enjoyable CDs. Mike and his pedal steel guitar are joined by Johnny Carpenter, who, as always, plays some very nice fiddle licks, Rory Hoffman and William Adkins play keys and Mike Baker- guitar. The rhythm section is comprised of Gage Boeker playing bass and Walter Hartman & Ray Von Rotz- drums. The album opens in a swing mood with Avon Calling and closes with a jazzy Mike Sweeney original, over eight minutes long called Tune for Rosa. Texas dance hall styling is represented with Ray Pennington and Dave Kirby's I'll Go to a Stranger from Ray Price and Johnny Bush. Also from Ray is his original Each Time and Willie Nelson's Night Life. Mike also brings back Mosie Lister's Where No One Stands Alone, the old pop standards I Don't Wanna Cry, Rodgers and Hart's Have You Met Miss Jones and from Julie London, Cry Me a River. Mike borrows from country music and Kenny Rogers and Dottie West, Every Time Two Fools Collide, Sing a Sad Song from Merle Haggard, Eddie Kirk's Bright Lights and Blonde Haired Women from both Ray Price and Tennessee Ernie Ford, One Too Many Memories from Ray Pillow and Harlan Howard's I've Leaned Over Backwards for You. Also included are Killer Joe and the Irish classic Molly Malone.